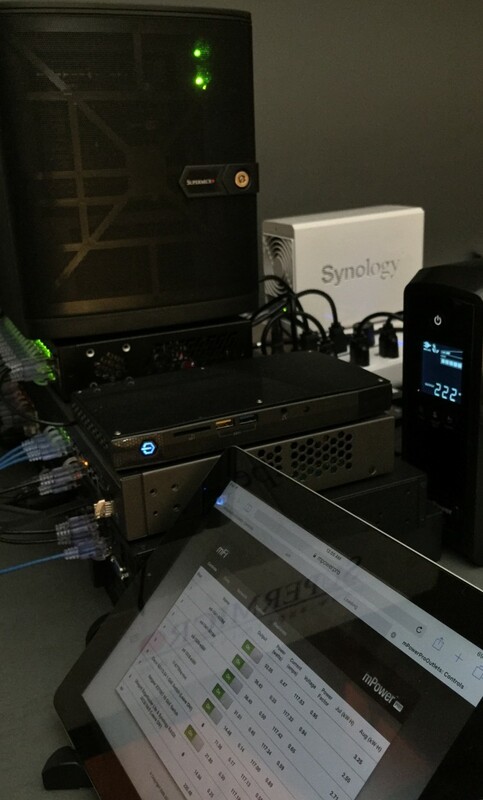 Anandtech has published an in-depth article that details not only VDI test results, but also new server testing tools from Futuremark. Given the hundreds of VMworld 2016 attendees who visited my Supermicro Xeon D VMware vSphere 6.0U2 cluster of 5 SuperServers yesterday, I won't argue with the author's claims about popularity! The mini-tower is now also now available in not just the original 8 core, but also as a bare bones 12 core model from Wiredzone, with a TinkerTry'd Bundled variant available later today as well. The Supermicro SYS-5028D-TN4T is a very popular server in the mini-tower form factor amongst home-lab enthusiasts. We already covered it in our Xeon-D review. Supermicro's SYS-5028D-TN4T is the perfect machine for IT enthusiasts and tinkerers to experiment with various virtualization tools. In addition to being compact and relatively silent, it is also frugal in terms of power consumption.